The Sunshine City’s quartet, COPE keeps it in the family. This St. Petersburg/Tampa Bay band of brothers features Kenny Stadelman (bass), Dennis Stadelman (guitar and banjo), Michael Garrie (drums), and Juan Montero (keys and saxophone). 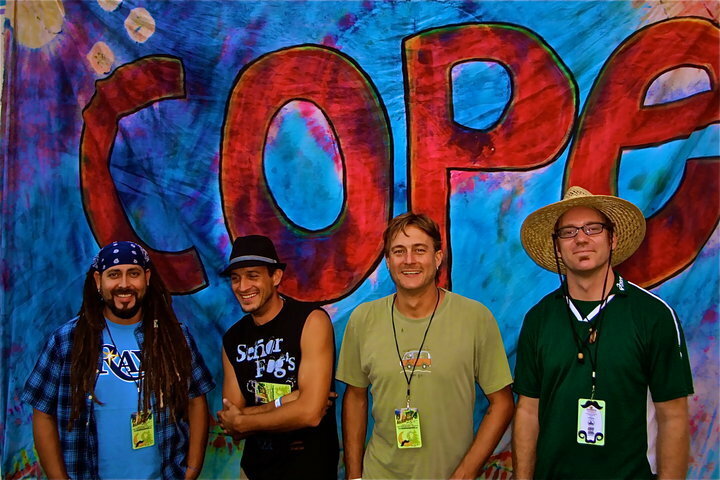 COPE’s two recordings, “Going Home” and “See” are harbingers of their hairy funk, Southern jam, dance party prowess. Heady Highlights include the 2012 and 2013 opening nights of Wanee in Live Oak, FL, COPE helped kick off the Spirit of the Suwannee Music Park Festival famous for The Allman Brothers Band, Widespread Panic, Gov’t Mule and more. 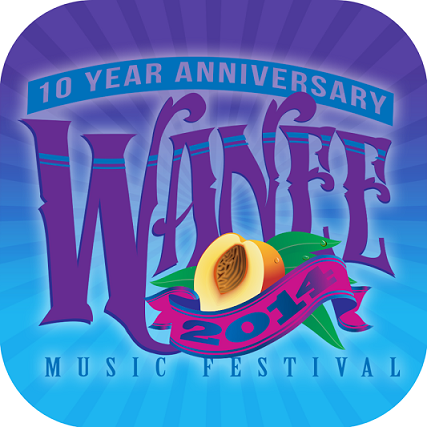 The family tradition continues during the 10th Anniversary of Wanee on Wednesday, April 9th. The Southeastern Summer festival circuits have quickly become the stomping ground for COPE’s extended jams, spirited segues and organic grooves. Live audiences come hungry for “Juanjamon” Montero’s steamin’ fatback chops slopping thick rhythms. However, COPE’s sound is diverse and sophisticated. The band’s talents are focused on overlapping melodies or at times infusing elements of Reggae and Progressive Rock, Folk or even Jazz into a musical composition that is both exploratory and direct. GW: COPE is gaining steam along the Eastern Seaboard. But for everyone out West, can you give us a little of COPE’s bio, the origin of the band’s name and some of the influences that go into your music? GW: COPE has a respectable amount of original material, what is the creative process behind the words and music in the studio? Also, as a primarily live band, do you consider jam elements like leaving room for improvisation, etc.? GW: For the last two years COPE has helped kick off Wanee Music Festival. I’ve been to Wanee and that’s a spirited bunch. What do you guys bring to the stage for shows like that? How have you seen the crowd react and does that energy fuel your shows? GW: Summer is known for the festival/touring season, what are/have been some of the highlights for COPE? GW: When COPE isn’t touring, are you guys out watching music? If so, who are some of the bands on your radar? COPE: When we aren’t touring, we are usually found playing in side projects, acoustic shows or sitting in with friends...we don’t get to go out to see as much music for the sake of catching a show too often, but we do enjoy seeing our friends out and about. Personally, I enjoy bands like 'Cheese, Umphreys, Panic, Meters, Robert Earl Keen, David Grissman, etc. GW: Well, thank you for taking the time to speak with Grateful Web! I like to leave a little room at the end of the interview for bands to speak directly to fans, and/or to new audiences. Basically, it’s just a chance to mention anything that we haven’t cover in our conversation.